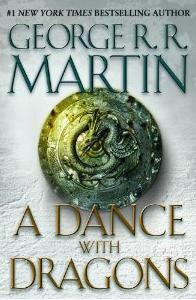 It is rare indeed for a fantasy novel to receive either the attention or thecritical acclaim heaped upon A Dance with Dragons. Among all literary genres, epic fantasy is surely the most widely reviled and ignored. And it can be hard to identify the genre’s best and most original works when they are surrounded on the shelves by hundreds of third-rate knock-offs. But in the hands of authors who understand their potential, the secondary worlds of fantasy provide a lens that can bring to sharp focus truths that the chaos of modern life obscures. JRR Tolkien crafted a mythology for the modern world from ancient teutonic sources, a mythology that expressed many people’s deep fears about industrialisation and world war. Mervyn Peake created a dark and painfully accurate reflection of the oppressive British class system in Gormenghast. And China Miéville transfigured Dickensian London and showed the daily exploitation of the poor and vulnerable that still powers the modern city in Perdido Street Station and his Bas-Lag novels. But if Martin had only transposed a historical and political context to a fantasy world his books would never have achieved such staggering popularity. Their author’s real strength is his compendious understanding of the human stories driving the grand political narrative. There does not seem to be a single living soul in the land of Westeros that Martin does not have insight into, from the highest king to the lowest petty thief. Martin does not compartmentalise evil on one side of the map and good on the other. It is a world of high stakes, where the winners prosper and the losers are mercilessly ground under heel. Against this tapestry every one of Martin’s characters is forced to chose between their love for those close to them and the greater interests of honour, duty and the realm. More often than not, those who make the noble choice pay with their lives. Previous PostThe answer to a riddleNext PostIs Science Fiction the first international language of literature? It’s very revealing that the PM can find grandeur in the concept of such an understanding. It suggests a mediaeval type of consciousness. Perhaps he would be better employed as a script-write for ‘Game of Thrones’. What about the support of the public? Apparently that is delivered by the media chiefs, great potentates of the realm that they are. As their media empires diminish under the onslaught of the Internet, we are invited to mourn with them the decline of investigative journalism. I’ll give it a miss. If the Murdochs continue to sink into the mire, we may yet join the 20th century before the 21st is over.